Dr. Anna Mirga-Kruszelnicka, anthropologist and Roma activist, born in 1985 in Cracow/Poland. She earned her Ph.D. in Social and Cultural Anthropology at the Universitat Autònoma de Barcelona (UAB) in 2016. 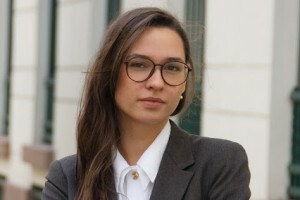 She holds an MA in European Integration from UAB and an MA in Comparative Studies of Civilizations from the Jagiellonian University in Cracow (UJ). 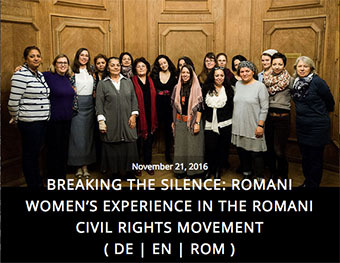 As a Roma rights activist, she was a co-founder and member of various Roma youth organizations and is currently a member of ternYpe — International Roma Youth Network. Dr. Mirga-Kruszelnicka is co-author of the study “Lost in Action? Evaluating the 6 years of the Comprehensive Plan for the Gitano Population in Catalonia” (Barcelona et al. : FAGiC and EMIGRA, 2012). She also is co-editor of the book “Education for Remembrance of the Roma Genocide: Scholarship, Commemoration and the Role of Youth” (Cracow: Libron, 2015), and author of numerous articles. From 2013 to 2015 she was an Open Society Foundations Roma Initiatives Fellow, conducting a comparative study of the Roma associative movements in various countries of Latin America and Europe. Dr. Mirga-Kruszelnicka is also a co-founder and member of the Alliance for the European Roma Institute (ERI) and Deputy Director of the European Roma Institute for Arts and Culture (ERIAC).